This true-to-life anatomical replica of the vertebral column of a child of about 5 years old is especially interesting for those working in the areas of anatomy, pediatrics, orthopedics and pediatric radiology. The unique material of the spine model makes it almost visually indistinguishable from a real vertebral column. 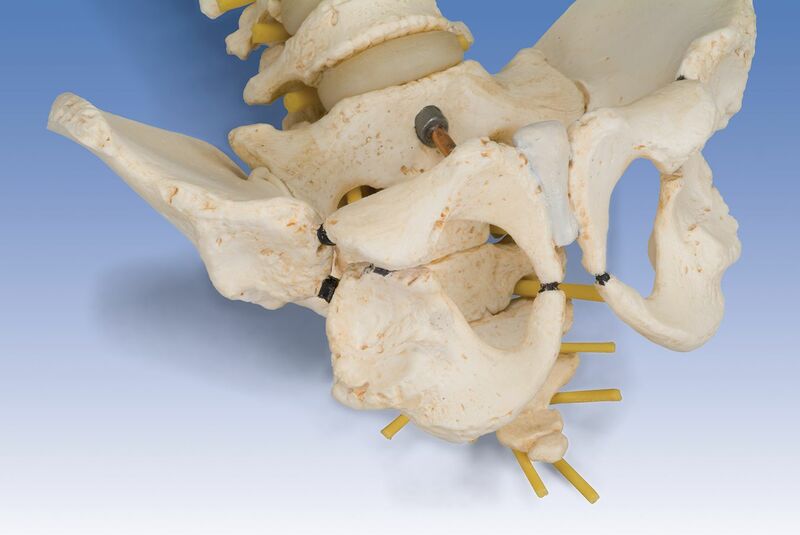 The flexible vertebral column including occipital plate, pelvis and sacroccyx is mounted on a stand. Within the spinal canal, the spinal cord with caudal equina and exiting nerve roots are represented in flexible material.